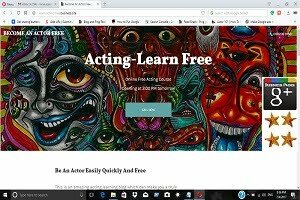 """ keywords'/> "" " 4 Red Flag Warning in Selecting Acting Schools | Best Actor Academy-The Monster Of Free Acting Tips ""
Choosing to engage in a relationship with an acting class/coach is like dating a girl or a boy. You’re entering into a potential long-term (few months to years) relationship that must be mutually beneficial, healthy, and free of mental and emotional trauma. The No. 1 factor when considering joining is the results of a school / coach's work: launched careers (even in short films), helping in booking roles etc. In addition to the teacher not know about you like your strengths, weaknesses and even not remembering your name, you will be lost in a group of students, forced to work with a scene partner, either for better or too poor compared to you, and may only be able to practice scenes or emotions once every 2 or 3 weeks... if you’re lucky! I describe my classes as “private coaching in a class setting.” Because our classes are small either one on one or in a small group of or 2 or 3 students. 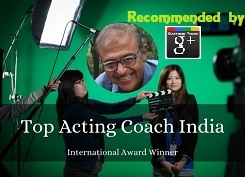 Unfortunately, I see many actors who arrive at my private coaching program very damaged. They have been completely flattened by a sarcastic teacher/class who due to some whimsical reasons hates them. They may not be abusive, but behave negatively with a particular student. How to spot such demotivating teachers? These teachers who bully or are sarcastic to the students; allow ask some of their favorite students to directly comment on the performance of others actors they don’t like (may be due his/ her face, language or accent, body language etc.) or require more time to learn an emotion/ attitude. I remember one of my coaching students telling me that her teacher uses to ridicule her because she was poor in English. She got terribly upset as the teacher deliberately will encourage other students in a session to comment on her performance or talk to her in English, embarrassing her as she could not reply in a fluent English back. A good practice to be followed by a teacher in a class should be that all comments from students should be directed to the teacher only, as actors should never criticize their fellow actors, both in a class or even on a film set. Whether you have learned or not, there is no time for training individually. Suppose an actor can’t display a particular emotion or attitude like crying or laughing instantly or failing to develop ‘improvisation’ in a scene, they don’t wait for you. Why? The reason is simple-how can they hold a class of 20 for maybe an hour or more only because of you? They don’t. 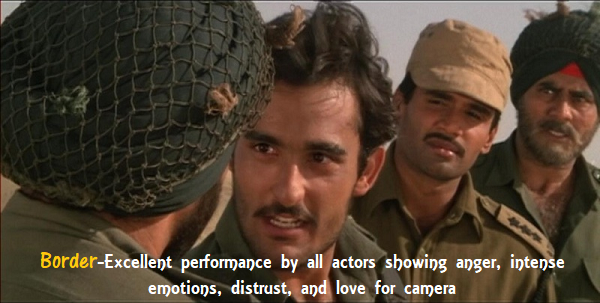 This is a no-win situation for you as an actor. The biggest problem with these types of teachers is that though many of them are good there are limitations of time and may be their own reasons as a paid employee of a school with a fixed syllabus which defeats the basic objective of an acting class. The “acting” is a delicate art and a fine craft. It cannot be taught as a subject of chemistry or history to 40 to 50 students with few practical in a lab. However, few lucky ones who get attention and favor may be because of ‘like’ grab more benefit in a class though large. Thus, all craft development gets cast aside and the entire class’s focus diverts and revolves around fun and networking with co-actors. Unfortunately, due to time constraints and fixed schedules of the subsequent classes, post training help is limited. 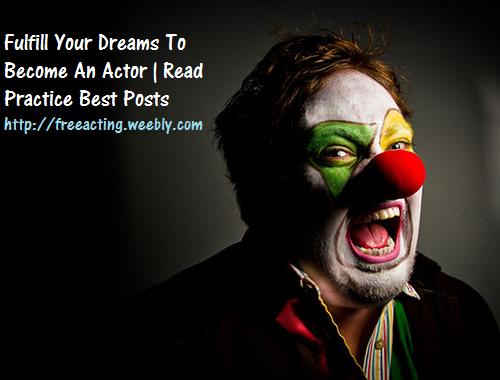 However, from an aspiring actor’s point of view who has paid a fee of few Lakhs of rupees, it may be a frustrating experience of not getting a job and to get lost in this ruthless cine industry after passing out a successful training. How to find the red signals? What is the duration of each class eg 60 minutes or more or less? How many students are in each batch? 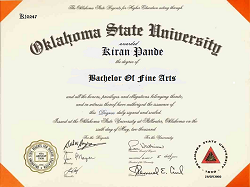 Names and details (contact no, address, email) of the ex-students who got a break in films, TV serials or in commercial ads? You must make an extra-ordinary effort to contact them and seek their opinion. Remember, listen but do not believe what they say. Some of their talks may be their marketing gimmick. Does a school accept a fee in installments? If yes, then be cautious. Sometimes, their main objective may be financial benefits rather than an excellence in quality of training and would welcome students by paying full fees or a part of a total fee. Finally, most important-don’t fall to big industry names behind a school. 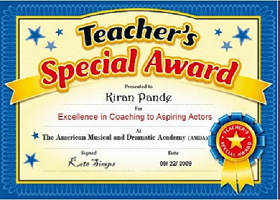 The big names behind running a school seldom get sufficient time to devote to teaching to students and usually have employee teachers to do the job and big name, job get confined to ‘inauguration’, once a while 'pep-up' talks and prize/ certificate distribution ceremonies. 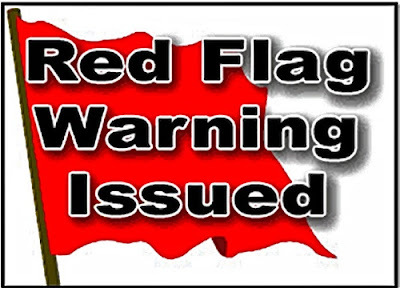 Just check the above red flags and points before you decide. Also, if already joined, never walk into a class with your tail tucked between your legs. Don’t be afraid to ask for results. It’s your right and responsibility. Raise your hand and inquire what sort of roles his/her students have acquired of late, or in the last year. Any reputable teacher or a school should be able to handle this question with aplomb and with hard numbers. 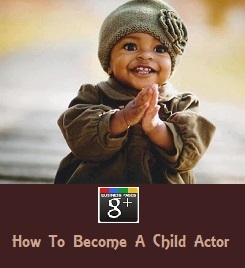 Acting class is also about creating offering predictable results for their students. Defensive or vague answers should give you a glimpse into this person’s or school’s soul. No reputable teacher/ coach or a school should feel good about taking hard-earned money from aspiring actors unless he/she knew they were getting the best guns they need to fight forward in their careers.